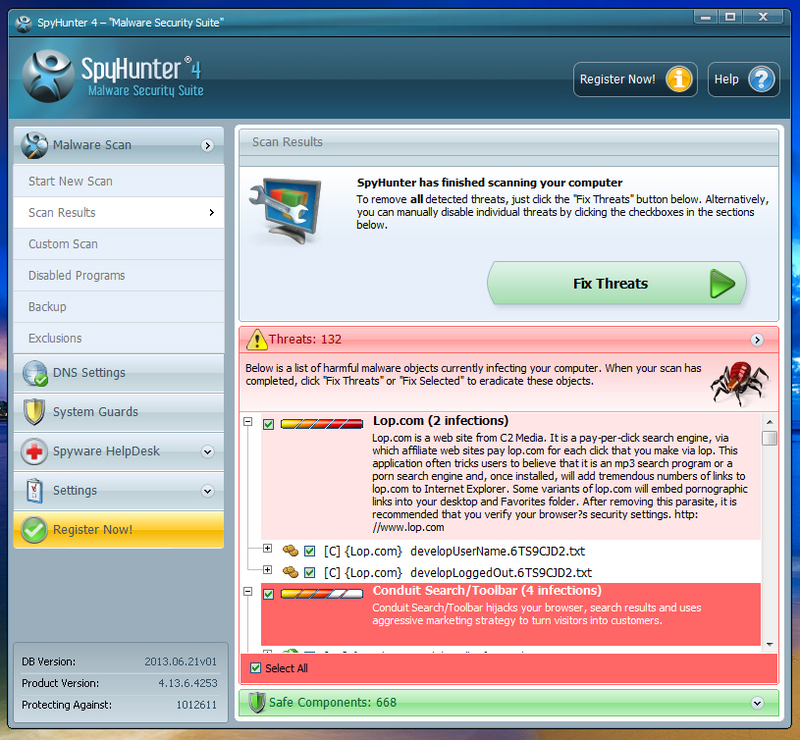 Spyhunter is a powerful anti-malware utility that can take care of your computer system. It works both as malware prevention and removal tool. 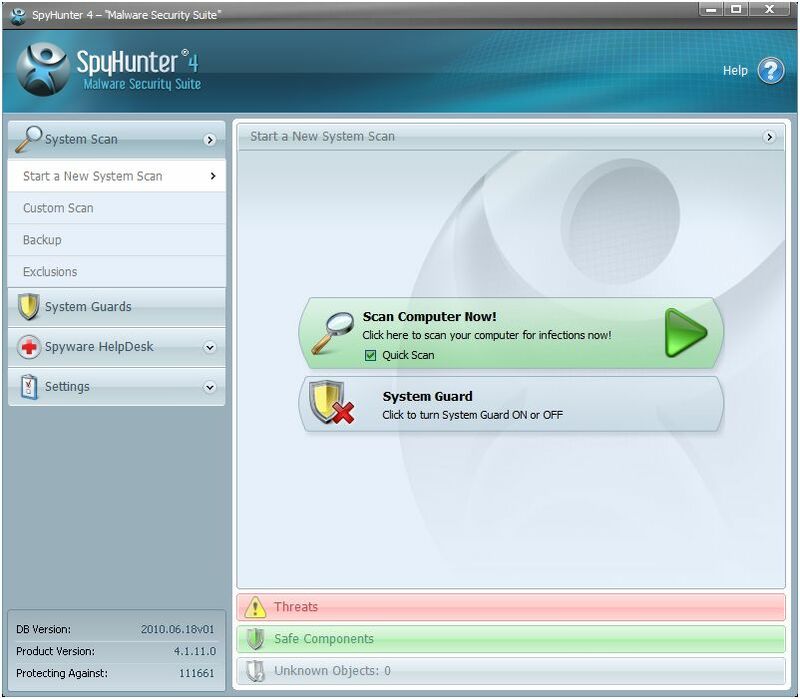 Spyhunter is user-friendly and has an interface that is very easy to use. It does not matter if you are an experienced computer user or a novice, the program is a great choice for both. The anti-spyware can protect your PC from various infections like Trojans, worms, browser hijackers, spyware, ransomware, adware and more. It uses spyware definitions that are frequently updated and contains about 30,000 signatures of various cyber threats. Spyhunter was developed by Enigma Software Group and is certified by West Coast Labs Checkmark Certification program. It has been mentioned in various respectable magazines and websites as a reliable anti-malware tool. A very important Spyhunter feature is its effective scanner. The scanner examines the running processes, registry and cookies. It checks all local hard drives. Once the scan is complete, you are presented with a detailed list of threats that reside in your system. The scanner shows you the path to the malicious files and their descriptions. Another important thing to mention about it is that there is more than one mode of scanning that you can choose from. You can perform a full system, quick or customized scan. Spyhunter can detect, block and remove various types of harmful applications like rootkits, spyware, Trojans, worms, cookies, keyloggers and more. If you have any difficulties getting rid of a particularly tricky infection, you can always contact Spyware Helpdesk. It is an interactive customer support that will help you s0lve any malware related problem. The Spyware HelpDesk technicians will analyze the threat and create a custom fix that you will receive via Spyhunter. Another useful Spyhunter feature is System Guards. It scans the installed software and informs you of whether or not it is safe to use. This tool automatically analyzes the processes that are executed by the program in question. It can identify and stop any processes that try to launch malware entries through Windows registry. Spyhunter is an efficient tool that can protect your system and remove different types of computer parasites. It is compatible with all Windows systems. No matter how many infections there are on your PC, you will still be able to download Spyhunter. The software can kill malicious processes before the installation even begins. It works with other anti-malware programs without any issues. 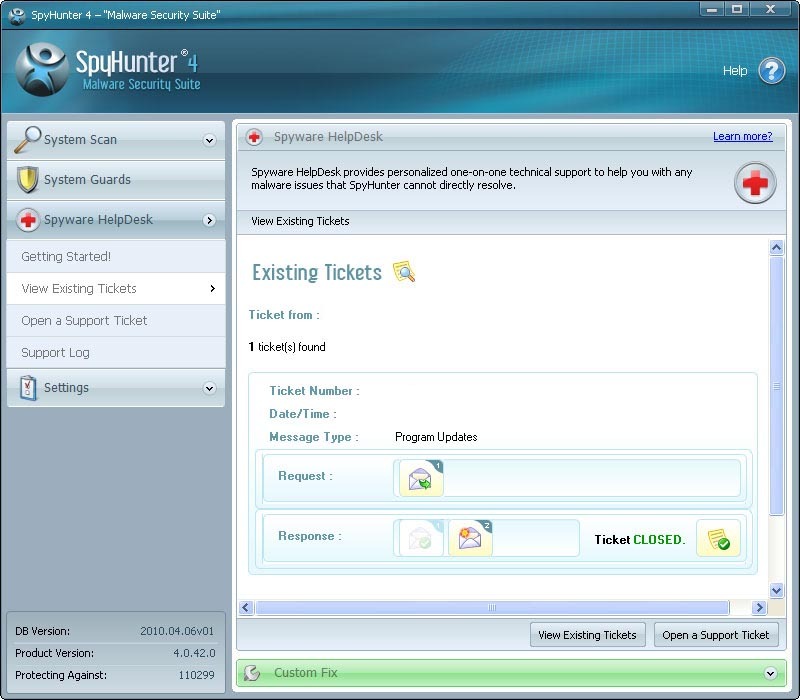 You can download a free Spyhunter trial and try out some of its functions before you purchase the security application. If you acquire the full version of Spyhunter you will be able to enjoy all of its useful features.